Do you remember playing outside until you were called home for dinner? Many kids don’t get to play outside as often as we did and don’t realize that open space provides us with cleaner water and air, local food, and a place to play. Our quality of life thrives in the Tri-Valley thanks to people like you who understand that we all need open space. But did you know that many local children have never been on a hike or had a chance to learn about the importance of protected land? how can they protect it? You Can Make a BIG Difference for Thousands of Tri-Valley Boys & Girls! As our schools lose funding for environmental education and field trips, we’re partnering with local schools to give students environmental science lessons that come to life with outdoor adventure. Thanks to supporters like you, hundreds of children took their first hike and learned about our local watershed, soils, agriculture and wildlife through our Discovery: Youth in Nature Program. And even more importantly, you connected them to the land! It’s making a BIG difference. But we can’t continue the program without you! 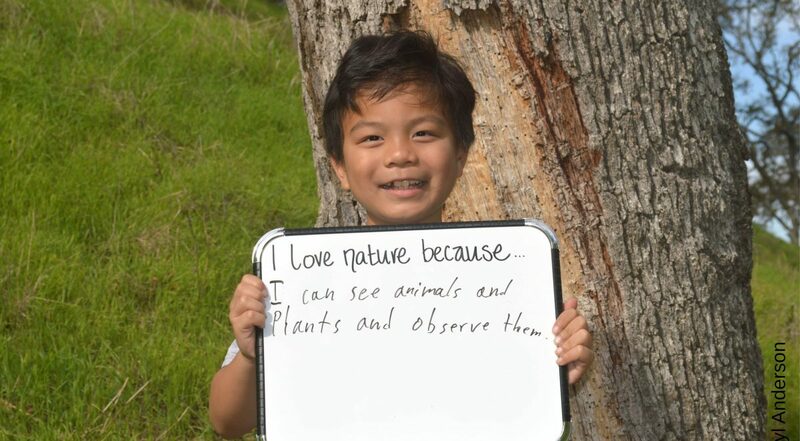 Tri-Valley Conservancy’s Discovery Youth in Nature Program is designed for fourth grade classes to inspire children to become stewards of the land and foster an appreciation for the natural space in our community. Each class who participates in Discovery Youth in Nature has three days of programming with an educator from Tri-Valley Conservancy, including a field trip to Holdener Park all of which is funded by Tri-Valley Conservancy. The Discovery Youth in Nature Program includes three days of lessons, typically spread out over six weeks (two weeks between each lesson). The first day takes place in the classroom where our educator brings supplies for students to work in groups on activities centered around California’s regions and watersheds. We also conduct a few science experiments to demonstrate erosion and soil science to conclude the first lesson. The second day is an offsite field trip to Holdener Park in Livermore. Along a 1.5-mile hike, students learn about the history of Livermore and have a chance to see some of the environmental science principles in person. One of the highlights of the fieldtrip is the student “solo hike” which allows them to experience open space without any distractions. The third day is a debrief back in the classroom where we wrap up by doing an activity around the web of life, literally creating a giant web to see how all of the living things are interconnected. The program takes place during the school year and each program is scheduled with the class’ teacher. The impact has been astounding! We need your help to connect hundreds more boys and girls in the Tri-Valley with the outdoors. You can help shape the Tri-Valley’s future! Please join us to expand the Discovery Youth in Nature Program today to create a better tomorrow for you, wildlife and future generations! If you’d like to become a sponsor of the Discovery Youth in Nature Program, please contact Laura Mercier by email or at (925) 449-8706. We are looking for a few environmental educators to teach classes and lead field trips. If you have a flexible schedule and enjoy teaching children about the outdoors, please contact Beryl Anderson by email or at (925) 449-8706. The Discovery Youth in Nature Program is designed for fourth grade curriculum standards, so for now, we are only able to offer the program to fourth grade classes. Our current goal is to reach all of the fourth grade classrooms in Livermore, and then expand our program to the rest of the Tri-Valley. If you would like to request the Discovery Youth in Nature Program for your classroom or school, please contact Patti Cole by email or at (925) 449-8706.